Preservation Month was established as an event in 1973 by the National Trust for Historic Preservation (NTHP). The event is co-sponsored by local preservation groups, State historical societies, business and civic organizations around the country. Many events are planned to promote historic places for the purpose of instilling national and community pride, promoting heritage tourism and showing the social and economic benefits of historic preservation. 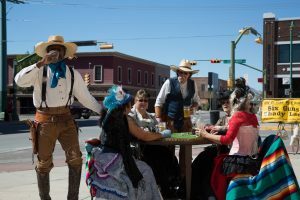 The celebration of Preservation Month in El Paso was expanded from a focus on one of the historic districts in the city to a countywide series of events in 2017 with the theme of “Preserving Our Places.” There were 26 events and 32 organizations sponsoring or hosting events in 2017. At this time we have 31 events and 19 organizations participating in Preservation Month 2018. 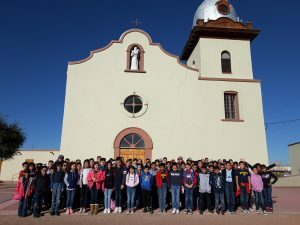 Organizations include: El Paso Mission Trail Association, Harvey Girls of El Paso, International Museum of Art, San Elizario Genealogy and Historical Society, Comite Biancional de CRDTAS, Benson Latin American Collection at U.T. Austin, C.L. Sonnichsen Special Collections Dept. at the UTEP Library, El Paso History Radio Show, City of Socorro, Keystone Heritage Park Association, El Paso History Alliance, Texas Trost Society, Center for Environmental Resource Management at UTEP, El Paso Museum of History, El Paso Railroad and Transportation Museum, Southwest Chapter of the Railway and Locomotive Historical Society, Concordia Heritage Association, Publicity Committee of the El Paso County Historical Commission, University of Texas El Paso. Submit family recipes with your name, phone number and any photos for inclusion into this online cookbook. The First Thanksgiving Reenactment will be at 3:00 PM. Throughout the day there will be exhibits, performances, and food. At 2:00 PM, Allan Affledt presents historic preservation efforts for Fred Harvey locations in Winslow, Arizona and Las Vegas, New Mexico. Learn about Albert Alvidrez’s “Pottery along the Railroad” and the Harvey Girls in the Southwest. 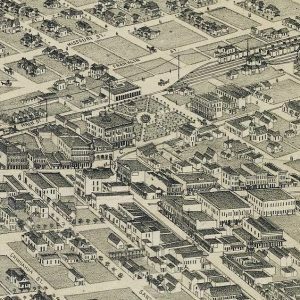 Join us for the Texas Trost Society’s Pop Tour during Last Thursdays in Downtown! This month we will visit our new favorite coffee shop in downtown, District Coffee Co., and Lair Gallery – both inside the soon-to-be-remodeled International Building, AND get an exclusive tour of the ground floor! Next, we will head over to the Hills Building to visit one of our favorite local painters, Abel Saucedo, and visit the upstairs mural collection – which is currently closed to the public – then we will end at International Bar in the Roberts-Banner Building for specialty drinks and views of beautiful San Jacinto. Not a bad way to spend Thursday evening, if we do say so ourselves! Presentation on the progress and work by the Communities, the Instituto Nacional de Antropologia e Historia (INAH) and other professionals along the Camino, in compiling the critical data for consideration in a UNESCO nomination. Old West Shootouts, Heritage Booths, Arts and Crafts, Live Entertainment, Food, and More. Sponsors: San Elizario Genealogy and Historical Society. Sponsors: Benson Latin American Collection at U.T. Austin and the C.L. Sonnichsen Special Collections Dept. at the UTEP Library. International historical presentations and workshops. Conference Luncheon at 1:00 PM with Texas BBQ and entertainment by Ballet Folklorico Flor y Canto and Mariachi Arturo Guerrero. Walk on a traffic-free Scenic Drive and enjoy learning about the geology, history, and legends of the El Paso and Ciudad Juarez region, all the way up to Scenic Point! At 4:30 PM there will be a historic reenactment of “La Toma” by Don Juan de Onate in April 1598 and subsequent Birth of the American Southwest by Eden Enterprises, directed by David Mills and Hector Serrano. Historian Orlando Romero, author and former director of the Fray Angelico Chavez History Library, will provide an overview of Hispanic contributions to American history that have been largely ignored. The City of Socorro will open their month-long art exhibit at the historic Rio Vista Farm on Friday evening. Programs include nature walks, history talks and exhibits regarding the Rio Grande and its influence on West Texas and the Southwest. Sponsors: Keystone Heritage Park Association, El Paso History Alliance. The Overland Mail Company was formed in 1858 to transport mail from St. Louis, Missouri to San Francisco, California over the Butterfield Overland Trail. A stagecoach station was created along the route at Hueco Tanks. We will take a short hike to the station site and hear tales from the trail. Please bring water and wear sturdy shoes and weather appropriate clothing. Jay Duncan will introduce this film of Ayn Rand’s novel and lead a discussion following the viewing. This is a slow walking (wheelchair accessible) tour of approximately 2 ½ hours of the San Elizario Historic District featuring over 415 years of historical events. Mary Jo Melby, Prince McKenzie and Derrell Hiett will discuss the life and work of William Ward Turney and the construction of the largest mansion in El Paso. Turney commissioned Henri C. Trost to design the mansion constructed by Ponsford Brothers Construction. There will be a focus on the adaption for public use and restoration process by the City of El Paso. El Paso Community College students will share research projects completed during the academic year. at Rio Bosque Wetlands Park (meet at the bridge crossing the Riverside Canal at the entrance to the Jonathan Rogers and Roberto Bustamante water treatment plants; map http://research.utep.edu/Default.aspx?tabid=67249. Bird migration should be in full swing during this time of peak bird diversity at Rio Bosque. On this relaxed two-mile hike, participants will explore the Bosque’s birdlife and discuss changes in avian use of the park. Ron Leiman and Woody Bare join Jackson Polk and Melissa Sargent to discuss and highlight the El Paso Train Show on May 18-20. Enjoy a picnic in the park, entertainment, crafts, light refreshments, transportation scavenger hunt, gallery tours and a restored streetcar display. Dr. Ignacio Martinez will speak about the settlement and colonization of the Southwest by Spain during the 17thand 18thcenturies. This is part of the Lessons from the Past, Looking towards the Future lecture series in collaboration with UTEP. 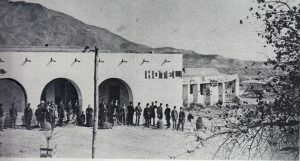 Celebrate the arrival of the railroad in El Paso in May 1881. The show features Southern Pacific Locomotive 3420 (1904 steam locomotive first used on the El Paso and Northeastern Railroad). Stop by the original Lowenstein House on the northwest corner of Alameda and Zaragosa Road for refreshments. 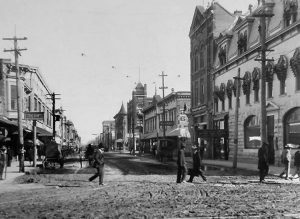 10:00 AM – Noon: Walking Tour of Historic Sites in the Ysleta Historic District led by Joseph Longo. Join Doug Yost, President of Buyer’s Advocate Real Estate Inspectors, for a four-hour workshop which includes lunch, handouts, and a walkthrough of a historic home. Learn how to research historic homes, what to look for when purchasing a historic home, who can do the restoration and how to review ordinances. A boy scout donates a community library to the City of Socorro. Participants will get a glimpse of what the biologically rich and diverse environment of the river valley once was like on this relaxed two-mile hike. The park’s ecosystem and changing landscape will be explored. The veterans include Civil War Confederates and the Grand Army of the Republic, Mexican War, Indian Wars, Buffalo Soldiers, Spanish American Rough Riders, Punitive Expedition, Mexican Revolution, World War I, World War II, Korea and Vietnam. 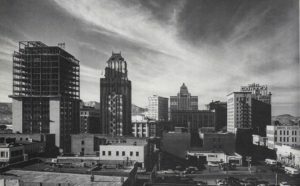 Take a tour of downtown El Paso with the Texas Trost Society as we explore Henri C. Trost’s incorporation of local plant life and animals in the ornaments of his buildings. Al Borrego, Director of the San Elizario Genealogy and Historical Society and historian for the Sociedad Cultural de Espana, will talk about Don Juan Onate taking possession of all of the land that the Rio de Norte (Rio Grande) drained and its colonization. San Elizario celebrates Billy the Kid’s Visit to San Elizario in1876. See historic reenactments of the historic breakout of Billy’s friend at the Old El Paso Jail. Learn the historic truths of his visit. On Sunday, June 3 see a presentation of the historic play. “1876: Billy the Kid in San Elizario”.